We’ve all heard the story of the boy who cried wolf. Similar to the story, the American Association of Critical-Care Nurses cites that between 72% and 99% of all clinical alarms are false. This high number of false alarms has led to a healthcare phenomenon known as alarm fatigue. Alarm fatigue occurs when clinicians become desensitized to or experience sensory overload when exposed to the constant noise of the alarms. Consequently, rather than signaling that something is wrong with a patient, the alarms become background noise that clinicians perceive as part of their normal working environment. 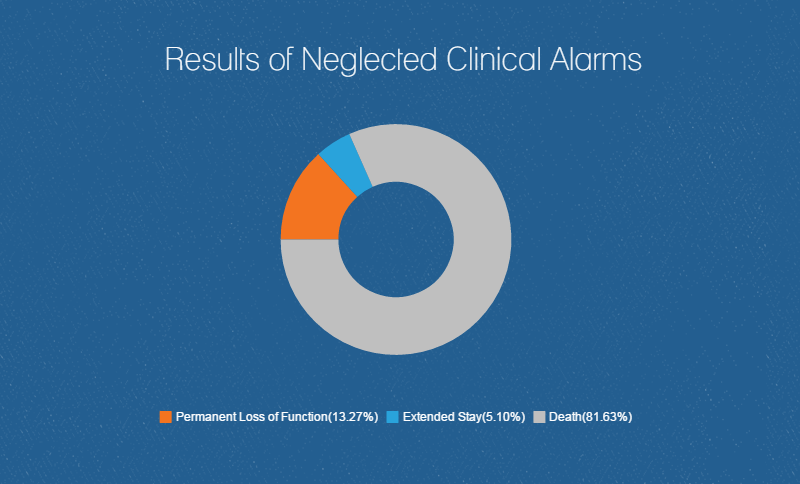 Patient deaths have been attributed to alarm fatigue. Many clinicians who find these false alarms bothersome tend to silence audible or text message alerts without checking the patient or permanently disable the alarms altogether. To battle this issue, the Joint Commission focused its 2014 National Patient Safety Goal on the issue of alarm fatigue with further regulations becoming mandatory by the end of this year. While it may be easy to blame the bedside caregivers for not responding to alarms, it’s important to understand that alarm fatigue needs to be addressed at the administrative level. Implementing an enterprise-wide patient safety solution, these healthcare facilities can decrease the frequency of false alarms. The smartest patient safety investment would combine real-time location system (RTLS) technology with a proven security system. These solutions can provide location information wherever 100% accuracy is needed including rooms, hallways, beds, chairs, bassinets and even bays. So how does this fight against alarm fatigue? Let’s say a patient is standing by the door inside of their room. A clinical-grade patient safety system would show with certainty that the patient is still safely inside their room; while an estimated-locating solution may mistakenly set off an alarm thinking that he or she was in the hallway. This avoids another unnecessary alarm and helps prevent further alarm fatigue. When choosing the correct patient safety solution, it’s important to select an option that includes tamper-resistant tags. These tamper sensors will send an alert if the tag stops communicating with the system or is removed from the patient. So you may be thinking: how could a device that potentially creates more alarms prevent alarm fatigue? It’s important to choose a tamper-resistant tag with a soft and comfortable, but secure wrist, or ankle band to ensure that the tag stays in constant contact with the skin. For infants, selecting a tag that attaches directly to the umbilical cord is a great alternative as these infant protection tags tend to be more secure and have less risk of accidentally being removed by the infant or caretaker. These tags will reduce the frequency of nuisance alarms and make certain that if a tamper alarm is generated, clinicians understand that it is a real and serious situation. To learn more about how your healthcare facility can reduce alarm fatigue and increase patient safety, download our Patient Safety Overview.